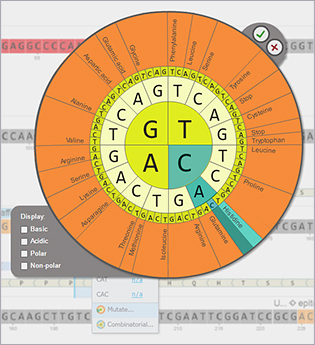 Genome Compiler is free for academia users and is available online and in a downloadable version so you can easily access your data on Genome Compiler from anywhere you are. The software supports Windows and Mac. 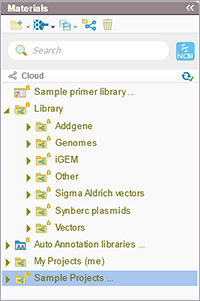 In addition, the software supports common file formats such as: FASTA, Vector NTI, SnapGene, Geneious, Clone Manager, Serial Cloner, Plasma DNA, ApE, DNAStar, etc. Cloning - Using the software you can design your cloning experiments by the intuitive cloning wizards. The software supports Restriction Ligation (for digest and ligate using restriction enzymes or PCR) and Gibson Assembly methods. You can watch these short tutorials in order to learn how to use the cloning wizards. Sequence alignment - simultaneously align your chromatogram files (.ab1, .scf) against your template sequence, locate and correct errors instantly. 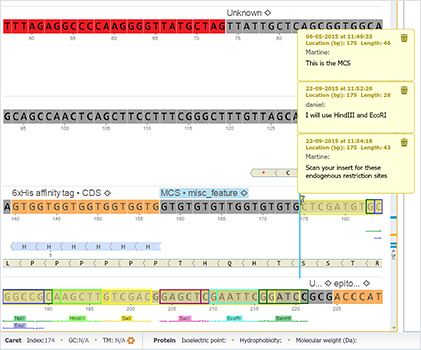 Sequence annotation - seamlessly auto-annotate your sequences and FASTA files. You can use our extensive library or add your own. Primer design - design primers automatically or manually. Using the software you can also create a Primer Library in order manage your inventory and automatically attach complementary primers to your projects. RBS Calculator - predict and control the protein expression rate in bacteria by this tool by the Salis lab, which is embedded into Genome Compiler. In addition, there is an auto annotation library, containing the Plasmapper database of parts, including hundreds of commonly used coding sequences, promoters and terminators and more, which can be “Blasted” against to auto annotate your sequences. It is also possible to query the NCBI database from within Genome Compiler and then instantly import your data into the Materials Box directly from Genome Compiler. Using Genome Compiler, you can work efficiently with your friends and colleagues at the lab. You can share your primers, sequences and projects with others and let them edit and add their comments. Every change being done to the data you share is trackable and can be easily accessed. Online support - accessible easily within the software. You can also leave us a feedback at any time or send your requests for further enhancements or features. 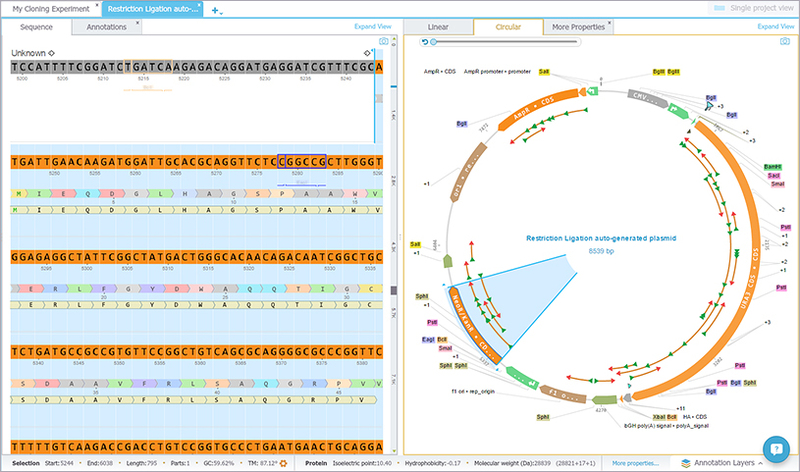 Genome Compiler is an advanced genetic design software produced by Genome Compiler Corporation, headed by CEO Omri Amirav-Drory and co-founders Nir Ben Moshe, Yogev Debbi and Roy Nevo. The software was prevalent in mainstream media in May 2013 due to its association with a Kick Starter initiative to create glowing plants with synthetic biology. 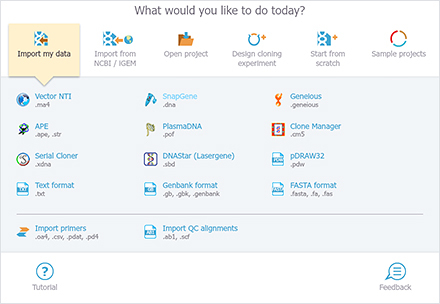 Genome Compiler is designed to make the researcher's life easier by streamlining the research process by providing one platform for all needs - from DNA design to seamless DNA ordering. This page was last edited on 24 November 2015, at 07:08.